We always maintain close contact with our customers. Communication is key to successful service your needs. During and after the storm, we record event activity. 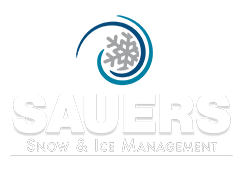 Your Sauers Account Manager will follow up with a property inspection post storm. We adhere to our negotiated contractual obligations and create our checklist based on this document. Once this is complete and to our satisfaction, your company contact will get an alert notifying you that the inspection has been completed. We will continue to work with you after our Post-Storm follow up. We want to know everything – what went right, what went wrong, and how we can improve. That way we can ensure you that we’ll keep up the good work or adjust to provide you with the proper commercial snow and ice removal services next time. We work hard so you don’t have to! We even do Post-Season follow ups. This helps us gain a better grasp on the bigger picture. We want to make sure that we maintain effective and efficient operations, not just during one big winter storm, but during all storms no matter the size. When it’s all said and done, when the snow has melted and temperatures are rising, we want to make sure you were satisfied with our winter snow and ice management services. Contact us to learn more about our snow and ice management services.